October/ November releases of Island in their 25th year. "Promo sampler not for re-sale"
The records have white labels with black print. This promo and the eponymous first one prelude to a big release to celebrate Island's 25th anniversary in 1987. 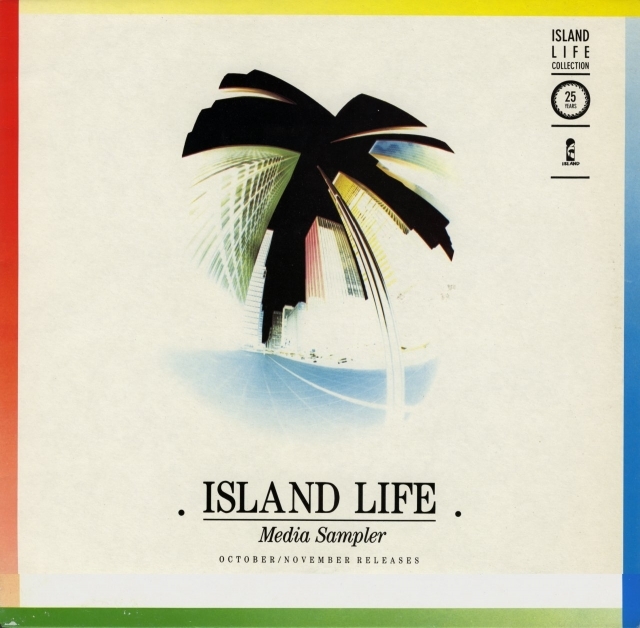 The seven LP box Island Life (IBX 25) did not materialise until April 1988, however. John Martyn is represented on this item with three tracks: Traffic-Light Lady (side five); You Can Discover (live) on side eight - probably the Rainbow Theatre version; and Certain Surprise (side nine). 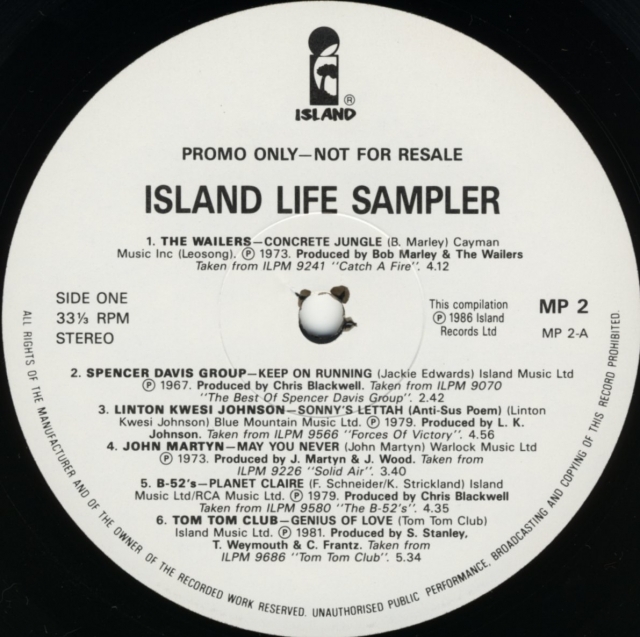 John's albums were also rereleased this year in a budget version with an Island Life logo on the cover. MP 2 A-1U-1-1-1 and MP 2 B-1U-1-1-1.